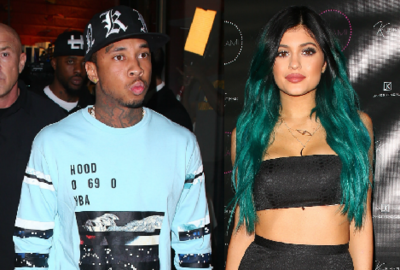 Tyga Moves Out of Kylie House? Although Kylie Jenner and Tyga are still together, it seems that things are not going perfectly well between them. It has now been revealed that Tyga has actually moved out from Kylie’s house, being said that it was just too soon for the two to move in together. The news was first revealed by TMZ, which indicated that Kylie and Tyga are willing to slow things down. The insider claimed that Tyga has already moved out and he rented a pad in the Hollywood Hills. According to the source, the two are still together, just that they no longer want to live under the same roof, for them both to have space and privacy. Reportedly, the decision is linked to the fight that emerged between the two last weekend. Although nothing has been confirmed, it has been claimed that Tyga and Kylie got into a huge fight over the star’s trip to Australia. It seems that Tyga wanted to accompany her, but Kylie wanted to go alone. The fight was rumored to be really big, consequently Kylie failing to make an appearance at Tyga’s birthday party. Of course, there were also some cheating rumors on. So, some insiders claimed that Kylie and Tyga got into a huge fight after the young star found some incriminating texts on his phone. “While they were getting ready for the party, Kylie snooped through Tyga’s phone and found a bunch of flirty messages from other girls,” the insider said. “She was furious and broke up with him on the spot. Tyga always had trust issues when it comes to Tyga, but this was too much,” it went on to add. Well, it has also been claimed that the fight between the two was seen as the perfect opportunity for Tyga’s former girlfriend, Blac Chyna, to make her move and try to win Tyga back. Chyna is said to still have feelings for the rapper, with whom she has a son. Of course, the report was not confirmed. Kylie Jenner and rapper Tyga were first linked back in 2014. However, the two have kept the romance a secret until Kylie turned 18.